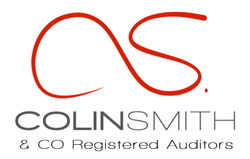 Many are the reasons why a business should seek an audit service. This is probably the reason why auditors are among the most sought after people in the business world and, at times, the most feared. Some auditors run small companies with no more than ten employees. However, others are large multinational corporations with numerous auditors on their payrolls. One of the main reasons why you or your business needs an audit service is that in some situations, you may not know what is wrong with your cash flow. You may be doing everything right with your small, medium or large enterprise but somehow, the returns at the end of the period are significantly lower than what you expected. On the other hand, you may have limited knowledge of business and accounting practices and for this reason, you will need an expert in these fields to pinpoint what it is that you are doing wrong and what you can do to avoid repeating the mistakes. The reports that auditors give after they are done auditing are usually very comprehensive and can be of great help to your business. The other reason is to improve your earnings. Some might say that their businesses are already making good profits, maybe more than they expected, and so there is no need to engage an auditing service. This could be true, but every business person wants to earn as much money as he or she can. You could be earning more than twice the profits you had anticipated to earn, but then again, your business could have the potential to earn more than four times that amount. Having an auditor check your records at the end of every financial period can help you realize these profits that you have been missing out on. An audit service will also help you get rid of the bad employees in your organization. Some employees are notorious when it comes to robbing your business. They could be doing this by opening fake accounts or records to show you that the money was spent for something relevant to the business when in essence, they used the money for their own personal gain. And this is the reason why auditors are a feared lot, especially by dishonest employees. The auditors will help you identify these malpractices and you can weed out employees who have been stealing from you regardless of the size of your business. You need to find a good auditor who will offer a great service. Start by inquiring about his or her professional and academic qualifications. And then check out their references and track record.